To bring a bit of water amusement park into your backyard this summer, getting one of these giant inflatable sprinkler monsters is a must. Just inflate this monstrosity to its seven feet height, attach any regular garden hose and your kids will have tons of fun. The water comes out of the top of this giant inflatable, making the spread big enough to cover a party of kids. The elephant supports attaching it to the ground with some anchors. The other animals will lift from the ground with a strong wind. But honestly, that only adds to the fun of these inflatables. 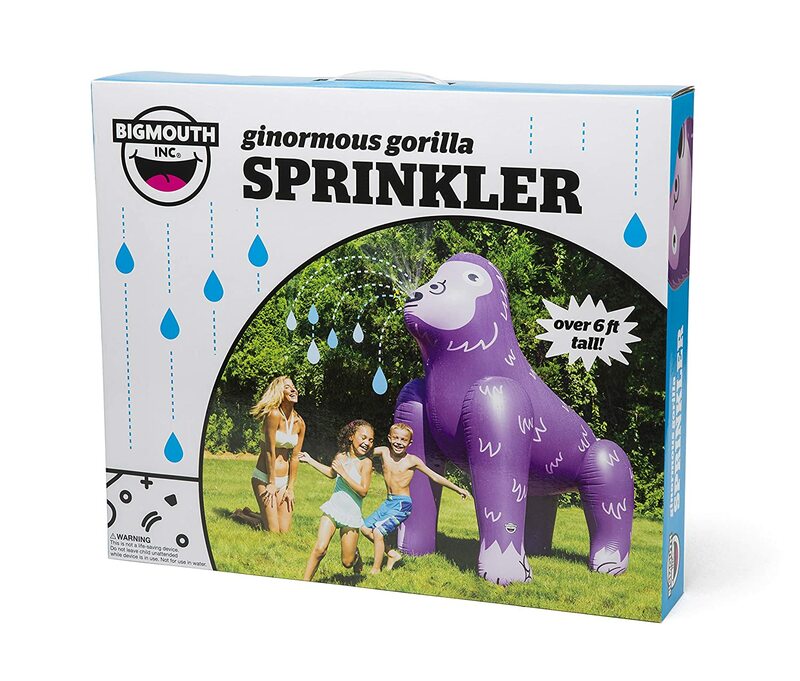 The giant backyard sprinkler inflatables are available on Amazon. Choose your favorite animal via the link below. ORIGINAL: Sold by BigMouth Inc-the leading name in inflatable summer fun toys. Guaranteed to bring big fun to your next outdoor party.